ZSL (Zoological Society of London) and Sophie Allport are asking house-proud animal-lovers to help stop the illegal wildlife trade – from the comfort of their own home. The international conservation charity and British designer have teamed up to bring a new homewares collection with a conscience to the high-street - developed to raise funds to support ZSL’s conservation of animals. The collection named Animals of the Savannah, includes tea towels, mugs and candles, is a celebration of the wildlife ZSL has been working with for over 180 years. Featuring new products inspired by animals of the Savannah, the collection includes cheetah and elephant print aprons, cushions, roller towels and wash bags, perfect for your home. Shoppers can purchase the beautiful new array of homeware products with the knowledge that their purchase is helping wildlife around the world. Kathryn England, ZSL Head of Commercial says “Every year at least 120 tigers are killed for their body parts. Every day 60 elephants are killed for the ivory trade. Every five minutes at least one pangolin is killed for meat and medicines. The trade is causing a devastating effect on wildlife. 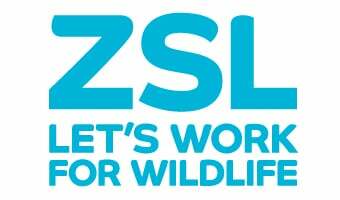 “ZSL works on conservation projects targeting the illegal wildlife trade across the world. We are on the ground training rangers, developing technology and engaging and supporting conservationist in 50 different countries. The animal themed range will highlight and raise funds for conservation projects across the world including targeting the illegal wildlife trade. Available now, the collection features kitchen essentials including oven gloves, aprons, bowls and plates. Also available are folding shopping bags, lampshades, tea tidies and spoon rests, all sustainably sourced using quality materials.